Family photo of my Schleiger family taken about 1917 in Portland, Oregon. Lorenz and Katherine Schleiger (née Derr) from Norka, Russia. Children from left: Adam, William, James, Olga, and Marie. 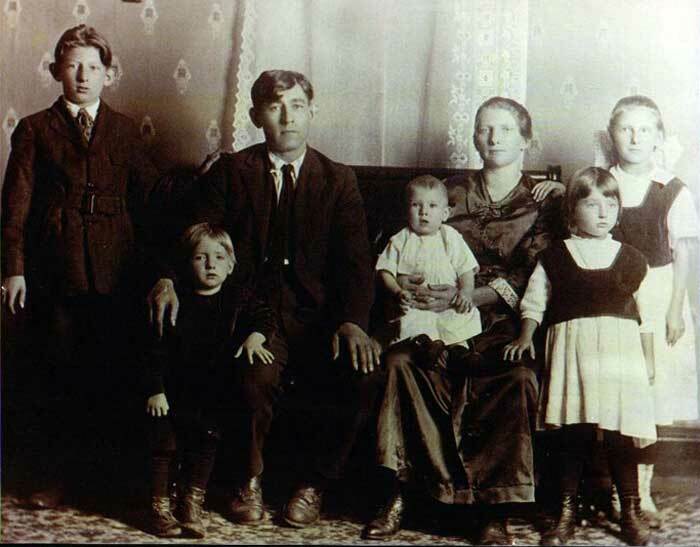 Children later born: Pauline, Robert, Esther, John, Peter, and Elsie. Additional children that died as infants: Katherine and Emma, who are buried at Rose City Cemetery in Portland, Oregon. Photo courtesy of Robert Allen Schleiger, Munich, Germany. Information and photograph courtesy of by Robert Allen Schleiger.